Finally, my stationery addiction can be used for a greater good. I’ve spent the last few days obsessed with interactive notebooks. I didn’t know I needed one until a pinterest search for maths fact reviews showed me I couldn’t possibly live without one. 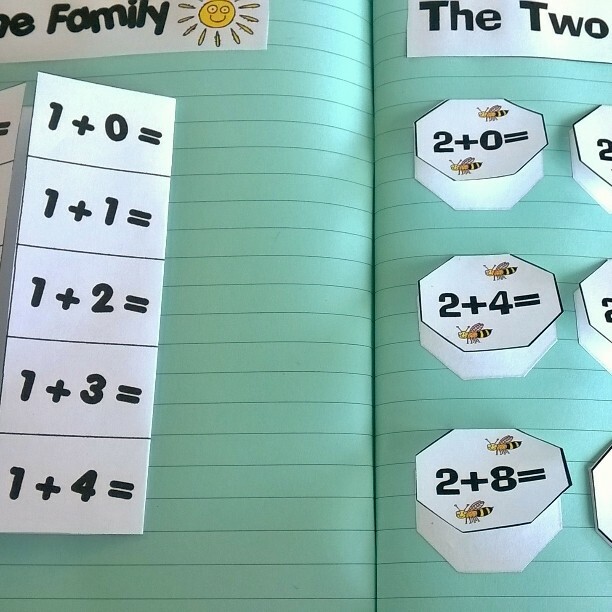 I had been researching a way to help Lil D (and all subsequent dotes) remember maths facts. You know, the basics, the ones that come automatically without thought. I think we just repeated it over and over again when we were kids. Not wishing to take a shortcut, Lil D will too, but with some awesome props. Basically an interactive notebook is a pop up notebook. Everything has a pull or an open or a movement that should bring the notes on the page to life. Usually class teachers plan their master copy and have their pupils do the cutting and pasting as they go through the material. I’m playing catch up. For Lil D this is a review so hours with a stick of glue and scissors later and I’ve mapped out basic addition, subtraction and time.